Last November, I had the pleasure of participating in the World Federation of United Nations Associations’ (WFUNA) “Kampala Youth Seminar” in Uganda with two Generations For Peace Delegates. The seminar brought together over 80 youth from 13 countries to discuss how to promote and localise UN Security Council Resolution 2250 on youth, peace, and security. The seminar was a mixture of presentations and breakout sessions designed to increase understanding of UNSCR 2250 and develop youth-generated recommendations for driving forward the youth, peace, and security agenda. The seminar was inspiring, and I met many young people passionate about peace and social change. Ugandan Delegates shared their first-hand experiences of designing, implementing, and evaluating peace-building programmes in their communities. 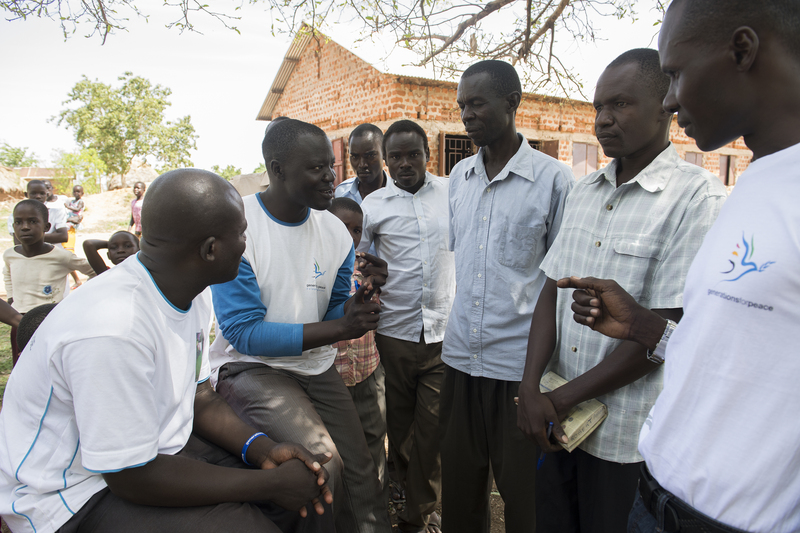 (Since 2014, they have carried out two programme cycles to address inter-religious conflicts among Muslim and Christian youth in north-eastern Uganda.) I presented in a session on gender, youth, peace, and security, sharing GFP’s approach to mainstreaming gender considerations throughout its programmes. Youth can play an important role in the prevention and resolution of conflicts, and UNSCR 2250 exists to recognise that. Its first pillar urges all relevant actors to increase inclusive representation and meaningful participation of youth in peace processes and at local, national, regional, and international levels. To do so, youth must be consulted and included in peace-building mechanisms, and youth-led initiatives must be supported. The Kampala Youth Seminar centred youth by soliciting their views on how youth hubs (physical or virtual spaces for organising, convening, and coordinating youth-led actions) could be created to localise 2250 and drive positive youth engagement in peace and security matters in their communities. Likewise, GFP centres youth in the application of its value of youth leadership – in fact, the average age of our volunteers in 2017 was 30, and the average age of our target group was 20, meaning GFP’s peace-building programmes are both youth-led and youth-serving. In this spirit, we provide sustained opportunities for youth to demonstrate their leadership by designing, implementing, and evaluating programmes that address issues of conflict and violence in their own communities. At just two years old, UNSCR 2250 is not widely known or utilised by youth in their pursuit of peace in their societies and communities. The organisers of the Kampala Youth Seminar recognised that increasing awareness and understanding of 2250 is an important step in supporting greater positive youth engagement in peace and security matters. As such, a number of sessions at the seminar focused on telling the story of 2250, inviting participants to reflect on its relevance in their own communities and experiences. Many of the resulting recommendations called for participating youth to further spread information on 2250 in their UN association chapters and communities upon returning home. In its programmes around the world, GFP takes this another step further, moving beyond advocacy into concrete peace-building action. 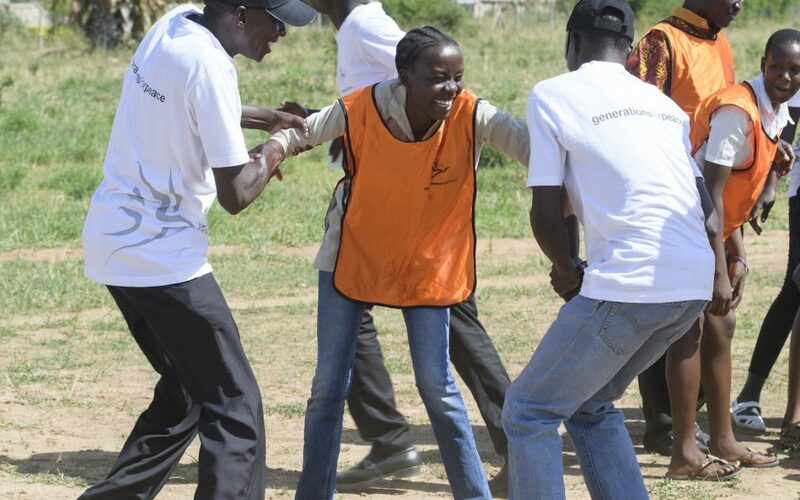 While increased knowledge and understanding of 2250 can empower youth to demand greater involvement in peace and security processes, GFP programmes create opportunities for them to live out 2250 by implementing actions in their communities to prevent violence, resolve conflicts, and support social cohesion. This spring, the findings of an expert Progress Study on youth’s positive contribution to peace processes and conflict resolution will be released. The Study, which was mandated by the UN Secretary-General in 2250, will provide further examples of youth-led peace-building actions from around the world and provide informed recommendations on effective and actionable future responses at all levels. Because the Kampala Youth Seminar was organised by WFUNA and hosted by the UN Association of Uganda, the majority of participants were from UN association youth chapters active on university campuses and in communities across the African continent. These chapters provide a strong, existing structure through which youth can localise UNSCR 2250. Many of the recommendations for 2250 naturally named UN associations as programmatic and administrative hosts of youth-led advocacy and actions. Similarly, GFP roots its programmes in partnerships with strong, existing local structures, building on established strengths, ensuring greater local ownership and sustainability, and providing a home for institutionalisation of knowledge transfer and capacity development. These structures – local schools, youth centres, NGOs, and faith-based organisations – provide important legitimacy in and access to communities, so volunteers can better involve the most vulnerable and influential conflict actors in their programmes. Rooting actions in these local structures also amplifies the sustainability of programme impacts, as it builds the capacity of staff and the institutions in which they serve. You can see this in how we train and mentor teachers in schools, providing our volunteers with new skills and experiences that they use beyond their GFP activities in their day-to-day dealings with students, parents, and fellow teachers. I was asked to share with the participants GFP’s experiences mainstreaming gender in our peace-building programmes, after which participants engaged in a reflection on the ways in which gender equality underpins 2250 and the importance of devising gender-sensitive interventions. 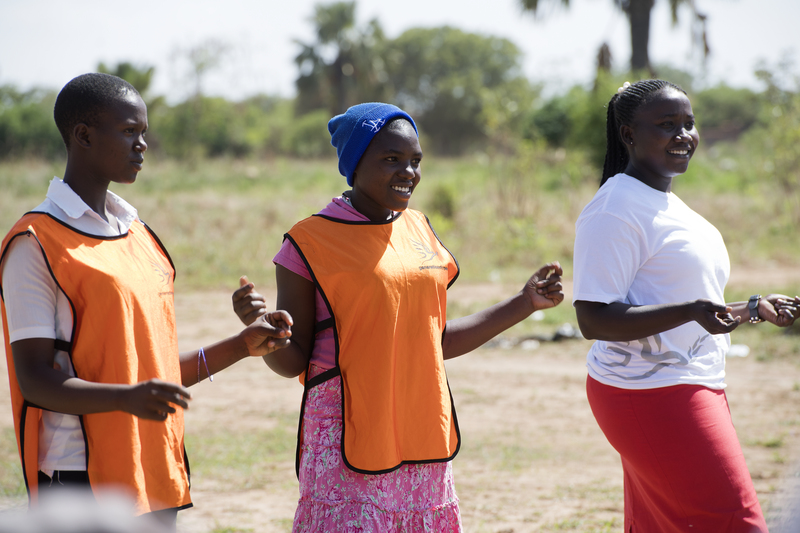 At GFP, gender considerations are integrated in all stages of a programme, even those in which gender is not the primary conflict context being addressed. Volunteers include a mixture of men and women at a ratio that corresponds with their target group, volunteer trainings include sessions on gender and conflict, and volunteer-led conflict analysis considers how gender identities and gender norms affect personal experiences of conflict and violence in various ways. Additionally, target group selection and activity design considers possible risks and assumptions for male, female, and non-binary gender participants, implementing activities in ways that aim to make everyone comfortable and capable of participating. Monitoring and evaluation tools are developed so that data can be disaggregated, and gendered outcomes and impacts are captured. Through real programmatic examples, my presentation demonstrated that gender equality can be integrated at every level of an action and that planning for gendered considerations needs to start long before the actions begin. The Kampala Youth Seminar gave the youth in attendance two important opportunities: the chance to learn more about UNSCR 2250 and the platform to share their experiences and recommendations. The Seminar was comprised of various sessions, which were a mixture of interactive small- and whole-group discussions and exercises. GFP shares this approach of “learning from one another” through vertical and horizontal learning opportunities. A few weeks before the Seminar, GFP hosted 39 youth leaders from nine countries at its headquarters in Amman, Jordan, for its 7th annual Samsung Advanced Training. The five-day training unites GFP volunteers from around the world to exchange their experiences and challenges in peace-building efforts. GFP volunteers and programme participants interacting with one another, sharing their experiences, and listening to the journeys of their fellow peers. Like our friends at WFUNA, GFP continues to champion UNSCR 2250 in its programming, advocacy, and outreach. We’re members of the Inter-Agency Working Group on Youth, Peace and Security and the YouthPower Youth in Peace and Security Community of Practice, among others. In December, GFP and its partners established the “Jordan 2250 Coalition” under the patronage of HRH Crown Prince Al Hussein. The coalition is the world’s first to unite government, non-governmental organisations, and UN agencies in collaboration on the implementation of 2250 at local and national levels. In September and November 2017, we hosted two international UN events on youth-led peace building during the UN General Assembly and Geneva Peace Week, sharing our experiences of transforming UNSCR 2250 from words into actions. We look forward to continuing to work together with partners like WFUNA to further localise UNSCR 2250 and support youth around the world to actively participate in and lead peace and security processes in their communities.